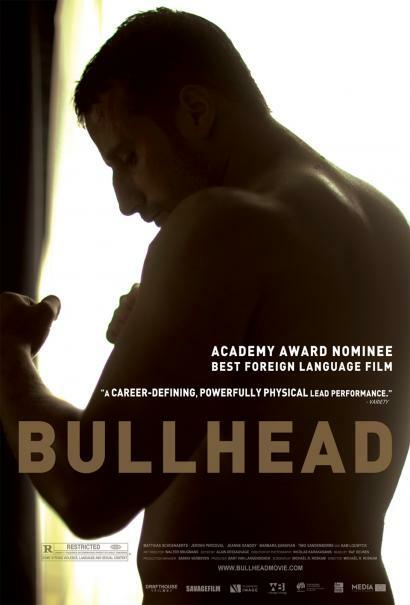 Perhaps the year's most stunning international debut, Michael R. Roskam's "Bullhead" is a harrowing tale of revenge, redemption and fate. Domineering cattle farmer Jacky Vanmarsenille (Matthias Schoenaerts in a ferocious breakout performance), constantly pumped on steroids and hormones, initiates a shady deal with a notorious mafioso meat trader. When an investigating federal agent is assassinated and a woman from his traumatic past resurfaces, Jacky must confront his demons and face the far-reaching consequences of his decisions. Acclaimed at festivals worldwide including the Berlin Film Festival, AFI Fest and Fantastic Fest, the award-winning "Bullhead" is visceral thriller bursting with rage.